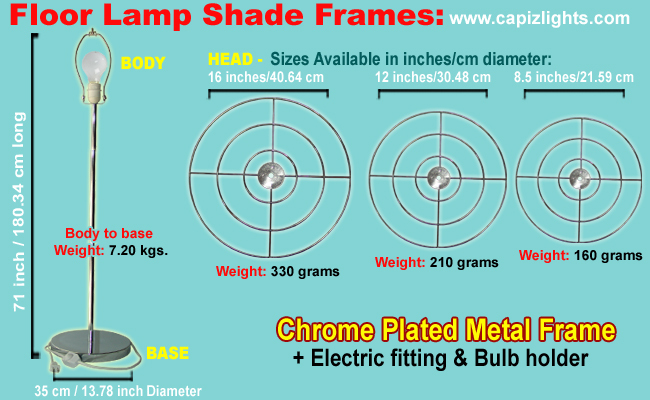 - All Floor Lamp Shades indoor & Outdoor product are made of capiz shell chips, chrome plated metal frames base adjustable with hooks, electric fitting and bulb holder. 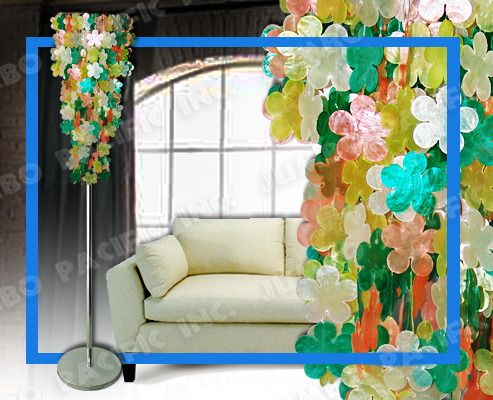 Description:3 layers Capiz chips natural white, green, yellow and orange in flower shape design with electric fitting. Height:71 inches from top to bottom, 22 inches top to end of the capiz chips/strand. 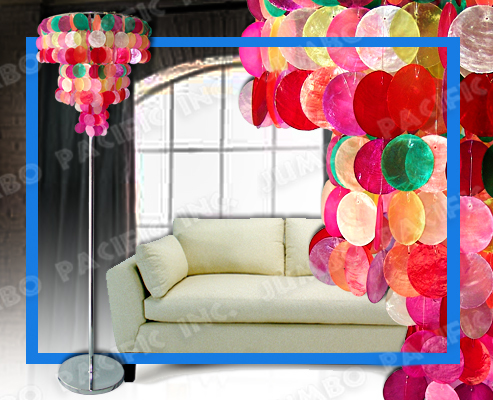 Description:3 layers Capiz chips in mixed color round shape design with electric fitting. Height:71 inches from top to bottom, 17.5 inches top to end of the capiz chips/strand. 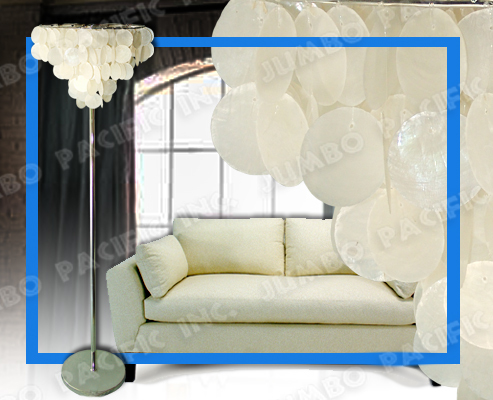 Description:3 layers Capiz chips natural white in round shape design with electric fitting. Height:71 inches from top to bottom, 25 inches top to end of the capiz chips/strand. 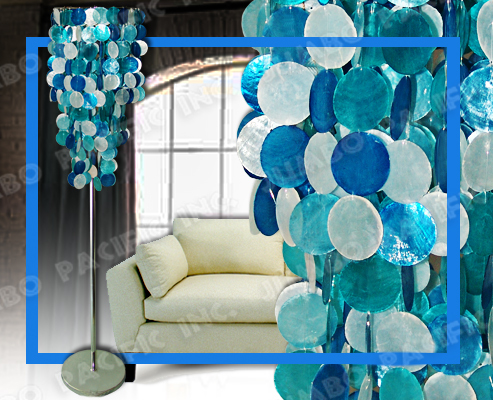 Description:3 layers Capiz chips natural white, blue and light blue in round shape design with electric fitting. Height:71 inches from top to bottom, 18 inches top to end of the capiz chips/strand. Note: Exclude from the Item Price. 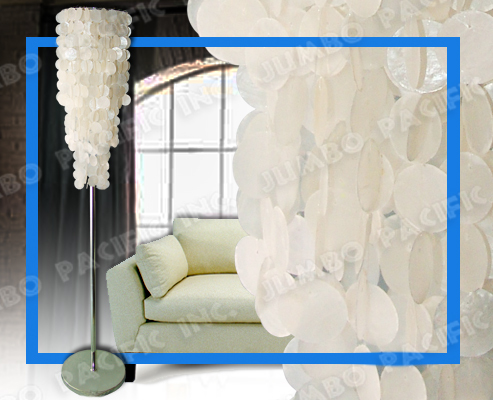 Description:Capiz chips natural white in round shape design with electric fitting. Height:71 inches from top to bottom, 9 inches top to end of the capiz chips/strand.